eBuddy is the Best Mobile Messenger i have come across till now, for Java based mobiles. 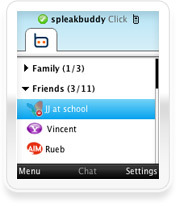 The main Advantage of using eBuddy that you can access Multiple IM’s at once. This Web Messenger can be accessed even in most of the Proxy Blocking Areas, also the spped and the overlook of the Web Messenger is really Cool. 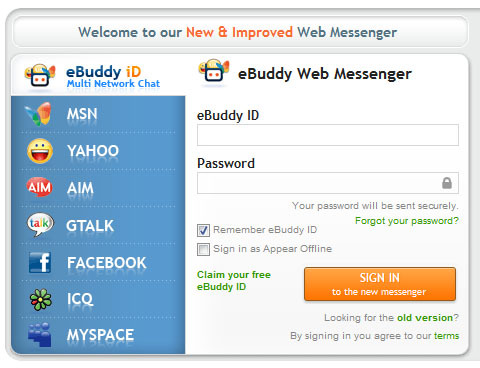 You can Access Web messenger even without creating ebuddy ID . But if you want to access Multiple accounts at once, you have to sign up to get an ID for you.